Most bushwalkers walk in nature because they love the environment. They aren’t about to thoughtlessly damage it. By following BWA’s Minimum Impact Bushwalking Code and adhering to good bushwalkers’ standards they will minimise their impact on the natural environment that provides us with so much pleasure. Their activities may include walking on unmarked routes which are typically exposed to low levels of activity. 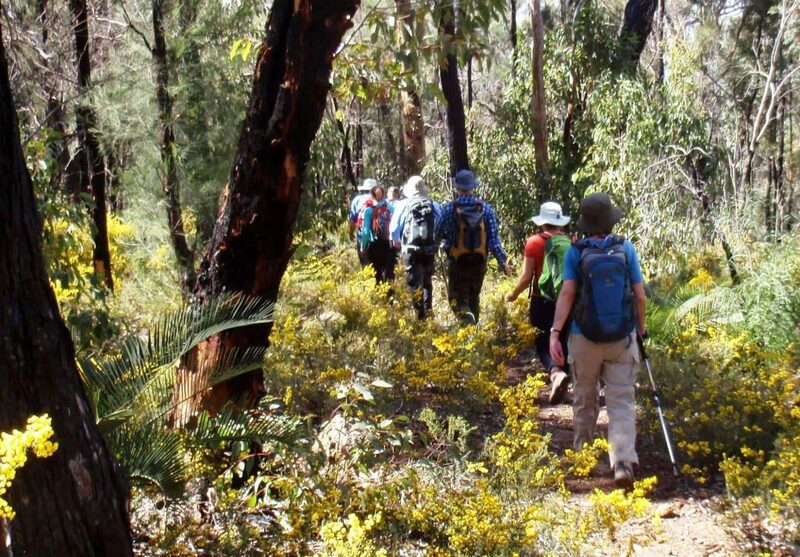 These walks are classed as ‘Grade 5’ in the Users guide to the Australian Walking Track Grading System and are suitable for experienced bushwalkers having good navigation and emergency first aid skills. All walk areas are periodically controlled burned which temporarily removes most groundcover and other understorey in any event. Walkers avoid the sooty, freshly burned areas at a time when fresh vegetation is re-emerging.